Chiropractic: "As the twig is bent, so grows the tree." Ligaments, Tendons, Chiropractic and Nutrition. The Reward Deficiency Syndrome, Addiction, Chiropractic and Alternative Medicine. GMO, Non GMO and Organic: What's all the fuss? Keeping wellness on our minds in a sickness based media. Being a naturalist in a synthetic world. Northern Lights Black Spruce Essential Oil. Gouty Arthritis: An Alternative Medicine Approach. Oils and Herbals for Osteoarthritis: An Alternative Medicine Approach. We're looking for a few good students! Roasted Beet and Ricotta Pizza. Alternative Medicine and Wellness course at CFCC this summer. The self assurances that we long for requires respect, responsibility and stewardship. Alternative Medicine course at CFCC with Dr. Weisberg. Chiropractic is the study of life and health. The bittersweet truth about fruits & vegetables. The power that animates the living world. Pediatric chiropractic means healthy babies. Living in the age of cancer. Mother Nature needs no help, just no interference. Chiropractic and wholesome nutrition helps ADHD. Fluoride in your water. Is it safe? Chiropractic and reflexology addresses neurological health issues and well being. Cancer is a process that your body knows about. Children adapt to their environment. Body, mind and spiritual healing creates a balanced living experience. Balanced whole food diet is best! Runners are stressing their bodies. New study shows 97% of babies born at home were born without complications. Fibromyalgia is the symptomatic expression of a body that is out of balance. Finding balance through chiropractic, reflexology and diet takes the dis out of dis-ease with no negative side effects. Chiropractic and reflexology are a perfect combination of healthcare to address the flow of the vital life force. Chiropractor John Weisberg and Reflexologist Daryl D. Weisberg, M.S. mission at Seaside Wellness Center is in helping their patients release all limitations to healing. When voting please consider your legislators stance on forced vaccination and coerced medical interventions. A nervous system that functions interference free along with a balanced whole food diet, breastfeeding, good hygiene and a loving atmosphere provides strong immunity. Chiropractor John Weisberg and Reflexologist Daryl D. Weisberg, M.S. life mission is to assist in keeping the body, mind and spirit in oneness. The human frame protects the vital nervous system life force. Chiropractor John Weisberg says, "adjustment to the spine removes interference from subluxation and restores healing ability." Read the label. Stop trusting that all the chemicals in your food are OK. It's not OK! Psychoneuroimmunology! This means that your mind through the nervous system of your body connects with your immune system. Dr. John & Daryl D. Weisberg, M.S. have been relieving headaches with chiropractic, clinical nutrition and reflexology for 32 years. Dr. John & Daryl D. Weisberg, M.S. focus on the mind body experience of healing and staying healthy. Failure to progress during birthing. Brigadier General Rebecca Halstead on chiropractic and fibromyalgia. Low back pain and neck pain alone and without neurological symptoms like arm or leg pain, paresthesia or weakness is rarely a reason to pursue spine surgery. Chiropractic, exercise and reflexology cause release of fixation about the nervous system so we may have life. Chiropractic, whole food nutrition, breastfeeding, a nurturing atmosphere and a strong connection to the natural world equals sustainable health. Exercise, adventure, hydration, raw whole fruits & veggies, and being subluxation free. "Sounds like a nice day." Pediatric chiropractic is one way you insure that your baby's true health potential is realized. Harvest Brussel Sprout Salad. Cruciferous veggies like Brussel Sprouts have anti cancer effects. Dr. John Weisberg and Daryl D. Weisberg, M.S. have been helping families get the sugar out of their diets and improve family immunity. Dr. John Weisberg provides holistic based chiropractic and clinical nutritional care in Wilmington, NC with reflexologist Daryl D. Weisberg, M.S. Dr. John Weisberg and Daryl D. Weisberg, M.S. provide chiropractic and reflexology prenatal care and pediatric chiropractic care. Dr. John Weisberg, clinical nutritionist at Seaside Wellness Center says, "treat yourself with this excellent variation." Dr. John Weisberg at Seaside Wellness Center provides skilled clinical nutritional care. Type II Diabetes doesn't have to rule you. There is effective help naturally. The real alternative to restoring your health should always be medicine. Chiropractic and lifestyles changes should be primary. It's safer. Your immunity is a function of who and what you are. A holistic health care program of chiropractic, whole food diet and reflexology creates balance between body, mind and spirit. Dr. John & Daryl Weisberg have been empowering children and their parents to live a holistic life with the ultimate respect for the natural order of life. Pregnant women have lots of low back pain and Dr. John Weisberg at Seaside Wellness Center can help. Infants have needs that must be met. Chiropractic connects the spirit and the physical. Dr. Weisberg skillfully helps infants and parents bond. Reflexology with Daryl D. Weisberg, M.,S. helps your body stay strong and healthy. The perception of nervous system interference is often distant from our consciousness but that has to do with awareness and focus. Chiropractic positively affects both awareness and focus. We are a body, a mind and a spirit. True health is when there is balance and harmony amongst all of what we are. Chiropractic allows balance. Pediatric Chiropractor Dr. John Weisberg says, "newborns have had more stress on their spines than you may think." They deserve the best start in life and that is to be nervous system interference free. Holistic services in chiropractic, clinical nutrition, reflexology and Reiki therapy address four basic priciples of health. Being your best requires that you regularly address nervous system health and wellbeing. Nothing does that better than a chiropractic adjustment. Family chiropractor and clinical nutritionist Dr. John Weisberg provides critical information to families interested in holistic living. Dr. John Weisberg a Wilmington, NC Pediatric Chiropractor and Clinical Nutritionist improves infants suckle and mother ability to produce more breast milk. Children with nocturnal enuresis respond successfully to pediatric chiropractic adjustments. Dr. John Weisberg is a Fellow of the International chiropractic Pediatric Association. "Good nutrition and a balanced whole food diet tastes delicious," says clinical nutritionist, dietitian and chiropractor Dr. John Weisberg. Reflexology with Daryl D. Weisberg, M.S. helps the anxiety associated with fibromyalgia, cancer, MS and lupus erythematosus. 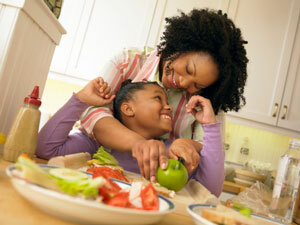 Chiropractic lifestyle for children lends itself to a balanced whole food diet. We are risking everything with GMO and processed foods. Cancer, nutrition, chiropractic, reiki, reflexology. The holistic, alternative medicine center. Seaside Wellness Center in Wilmington, NC. Dr. John Weisberg and Daryl D. Weisberg, M.S. had their children in the safety of their home and their very competent midwives and attendants, including the newborn's siblings. Babies who enjoy being raised with regular chiropractic care have less ear aches. Dr. John Weisberg is skilled in Chiropractic Pediatrics. Truth is often found in comic utterances. Chiropractic adjustment restores normal, balanced nerve system communication. Clinical nutritionist and licensed dietitian Dr. John Weisberg uses only whole food nutrients and herbals of the Standard Process and Medi-Herb lines. Enhance immunity with whole food, herbals, chiropractic, reiki and reflexology. It's how your body works. Chiropractic pediatric specialist Dr. John Weisberg and Learning & Behavioral specialist Daryl D. Weisberg, M.S. are here to help parents that want to raise their children naturally. Alternative medical and Chiropractic with Dr. John Weisberg at Seaside Wellness Center! Your golf game is going to love it! Chiropractic with Dr. John Weisberg works wonders for back pain, allergies, asthma, headaches and PMS. Wilmington nutritionist Dr. John Weisberg is proud to present this autumn delectable. Enjoy! Chiropractic care at Seaside Wellness Center with Dr. John Weisberg. Your tennis game is going to love it! Innate intelligence and the nature of disease. Reflexology stimulates the body to balance, health through the reflex points of the feet. Nutrition refers to food that nurtures your body not chemicals that make something artificial seem food like. Enjoy maximum nervous system communication with chiropractic, reflexology and reiki. Support your body by staying strong & healthy with exercise, chiropractic & nutrition. An ounce of prevention does equal a pound of cure. Innate Intelligence is expressed through your nervous system. Reduce nervous system interference with Chiropractic. Reiki Master Daryl Weisberg to speak at open house. October 6th. Reflexology creates whole body healing by stimulating the reflex points of your feet. Chiropractic changes your body chemistry.